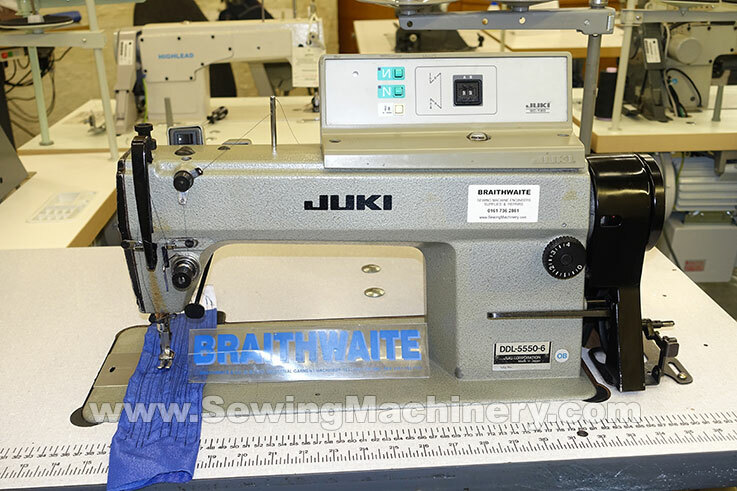 Juki DDL5550-6 single needle lockstitch sewing machine with auto thread trimmer and Juki 3 phase electronic needle position motor. including stitch count auto back-tack control panel and quick knuckle reverse device. +auto foot lifter device fitted. 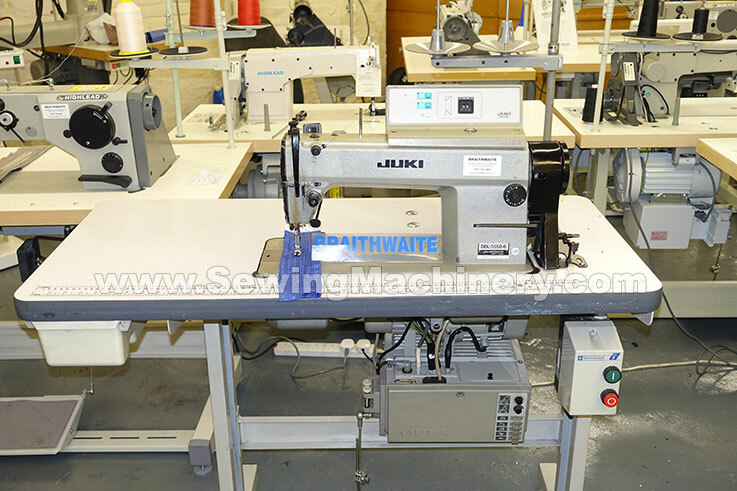 Assembled with Juki electronic needle position motor, quality UK made table top and unit stand. Made by Juki in Japan. 3 phase model for factory use. Serviced and supplied with used machine warranty.